Designed with the league bowler in mind, Lane Legend keeps track of an individual's games, either in league or open bowls (practice rounds). Constantly updates your statistics whenever you bowl. Know your high games, high series, how your average is trending in your leagues, and much more. Integrated handicap calculator for quick calculations. Uses iCloud to store your data so that it is available on all of your devices and safe when you get a new device. As a single person bowling app, it is okay at doing the basics. There is a lot of blank screen space wasted where other info (maybe stats or other players (see wish list below)) could be shown. Entering in scores isn’t done with the keyboard, it uses the scroll input (like you would see when selecting fixed options like states on other forms). So to enter in a 10 you have to scroll up from 0. Not difficult but annoying. Should just show the number pad only if they want to limit input type. 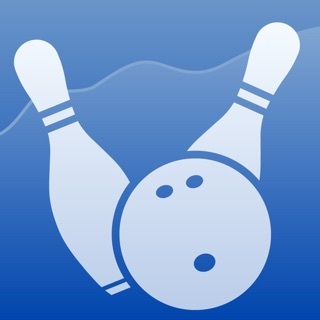 Then like most bowling apps, they have a max game limit per league session. In this case it’s 5. Why not leave the app open to whatever a person wants to enter? Why do they always have to put limits? Doesn’t matter if that’s the normal amount of games, just leave it open to anything the user wants. On the wish list would be the ability to enter in more than 1 person’s scores. I play with my kid most days and would like to keep both our scores during practice or when we play in gen gap league. It would be simple to implement, just add the ability to enter users and then be able to add the various users to a game or session. You could add just 1 or any number of them with check boxes or something. Then have all their stats be stored under their name so you could look each up separately. Has potential and is free if you are just looking to keep only your own stats. But would need more development to be worthy of 5 stars. I really like the app! It’s been working great so far. What I would love to be able to see is to select leagues and it compiles the total pins and total games played across multiple leagues to see an over all average for all the leagues combined. Other than that I would definitely recommend it! This app does anything you need it to do and more. Love the add leagues feature. I’m surprised it’s free.